What are the ten best designed landscape projects in London? 10 – The Queen Elizabeth Olympic Park designed by LDA Design and Hargreaves Associates. This park was built for the 2012 London Olympics and is being reconfigured following the games. The design incorporates the signature land forms that can be seen in much of the work of George Hargreaves. The South Plaza of the park was designed James Corner Field Operations and opens in 2014*. 9 – Thames Barrier Park was designed by Group Signes and Patel Taylor. It is a 22-acre park with striking geometries and features that draw views to the River Thames and offers a focus for residential development to the East and West. The design follows the style of Group Signes founder Alain Provost and renowned horticulturalist Alain Cousseran. The team was selected through a design competition in 1995 by the London Docklands Development Corporation. 8 – Despite the cliched moniker of English Square the landscape of the Tate Modern designed by Keinast Vogt intelligently creates spaces that seamlessly relate to the exhibition spaces of the old power station and the variable scales of London. 7 – Jubilee Gardens by West 8 opened in 2012 for the Queen’s jubilee celebrations. West 8 needed to win three competitions in order to finally get the opportunity to realise their proposals. 6 – Somerset House Courtyard was transformed from a carpark to a distinctive and multi-functional open space that hosts different events throughout they year. 4 – Diana Memorial Fountain was designed by Gustafson Porter* and opened in Hyde Park in 2004. The stone water feature adopted emerging modeling technologies to develop an apparently seamless form and flow of water. 3 – Windrush Square in Brixton was designed by Gross Max*, commissioned through Mayor Livingstone’s 100 Public Spaces initiative. A subtle change of levels and existing tree planting is accommodated through a bold but sensitive use of paving and sculptural elements. 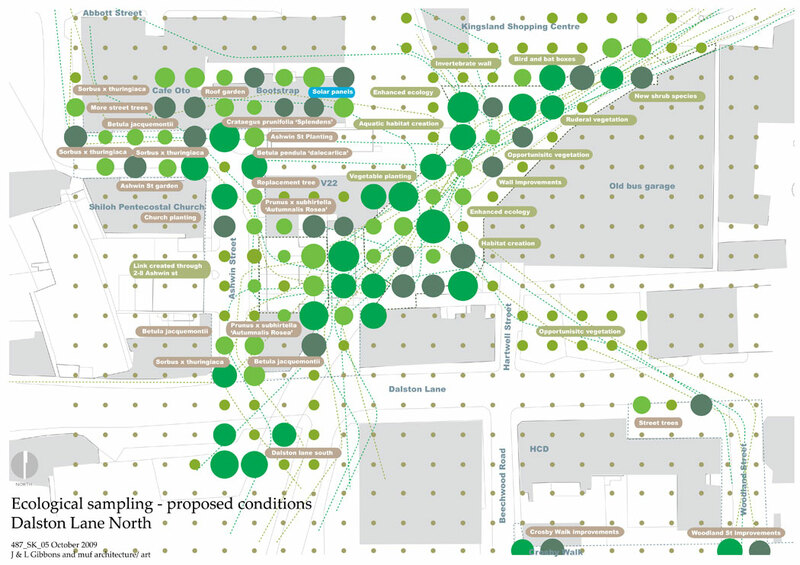 2 – The Union Street Urban Orchard was a temporary landscape designed by Heather Ring of Wayward Plants*. 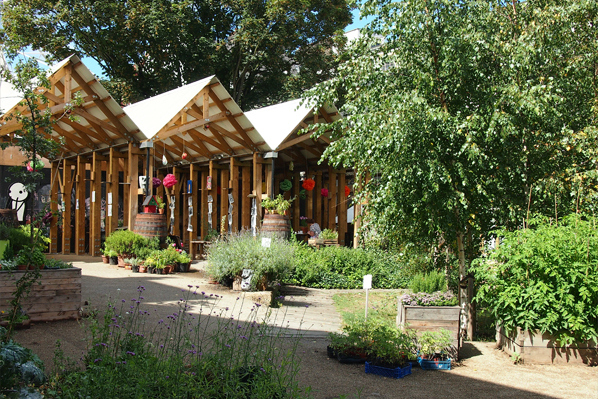 After the success of the Urban Orchard Heather was invited to develop the Physic Garden in the same space in 2011. 1 – Dalston Eastern Curve by Joanna Gibbons is an exceptional landscape that incorporates the overlapping and sometimes conflicting ambitions of the people that use it. What would be your first choice? * We are delighted to have been able to invite several of these designers and consultants for these projects to join us at the University of Greenwich this year to speak about their work. Watch this space for future landscape, architecture and urbanism public lectures! I would like to add the landscape (and buildings) of More London, designed by Townshend Landscape Architects Ltd. Beautifully structured, simple direct layout, crisp, inventive, robust, beautifully detailed and an excellent fusion between the buildings and the ground.